Kilmory beach is located by the small crofting township of Kilmory on the north coast of West Ardnamurchan. 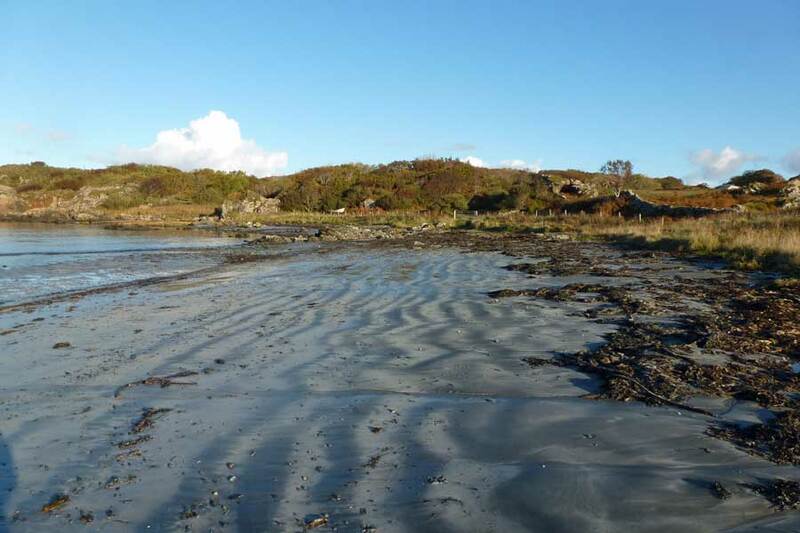 Kilmory beach is a lovely white sandy beach punctuated with volcanic outcrops. 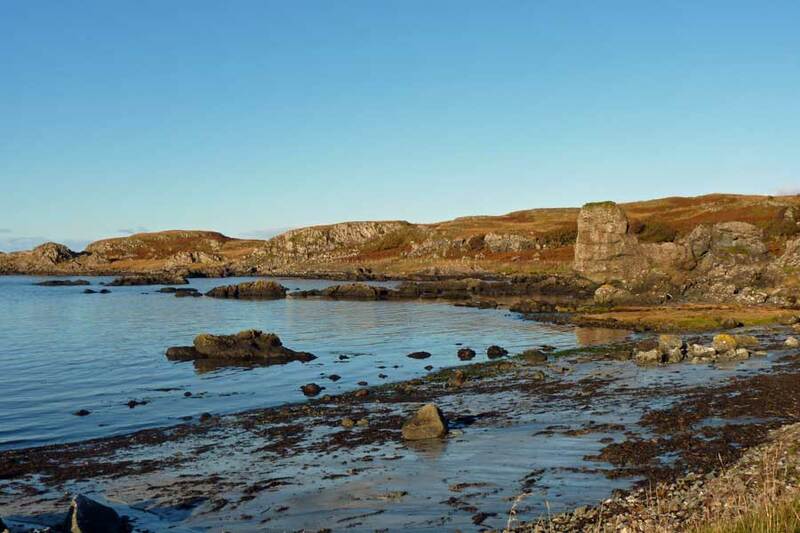 The beach is within a sheltered cove flanked by rocky promontories, with a small rocky islet (Ardtoe Island) on the east side of the bay. 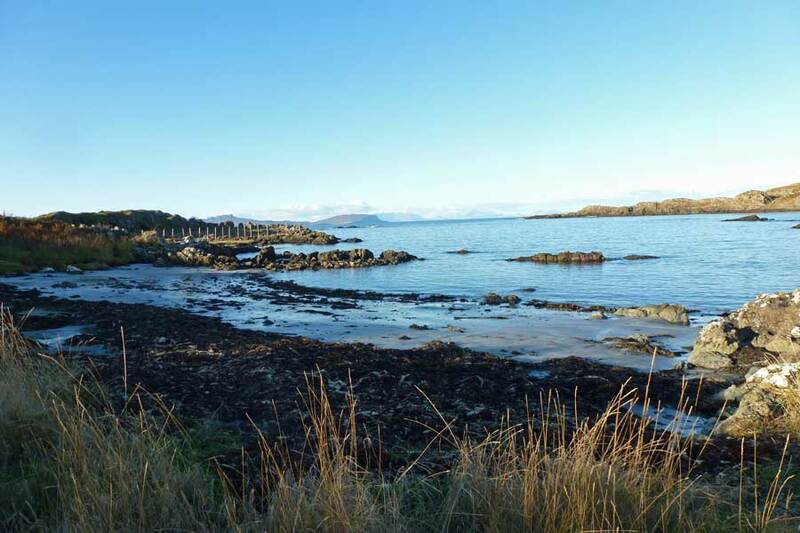 The beach affords some fine views of the Small Isles. The bay also supports a small area of damp acidic grassland, Iris pseudocorus mire and damp fixed dune vegetation. 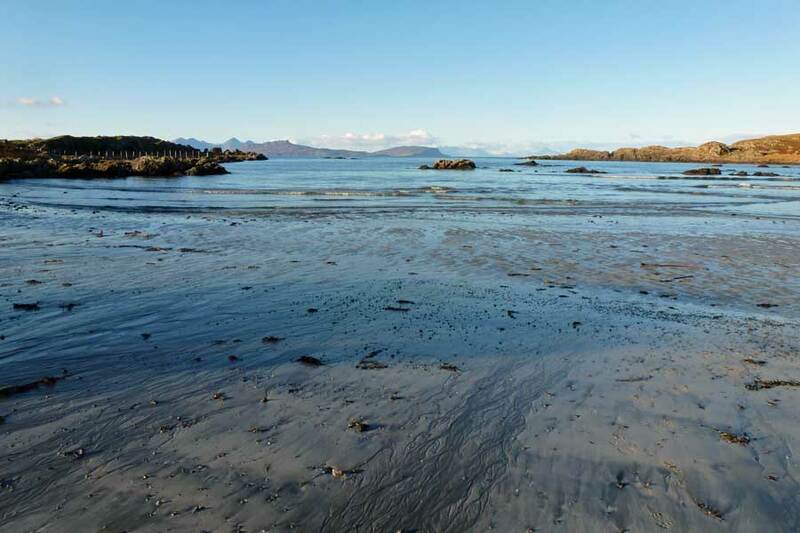 Kilmory Beach is a great place for stunning scenery and immersing yourself in the wilderness of Ardnamurchan peninsula. 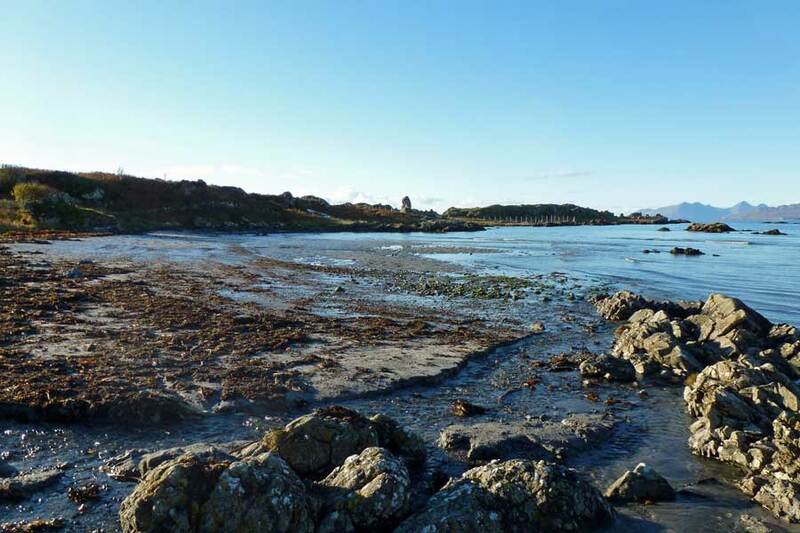 A great place for relaxing, beach combing and bird watching. Interesting features nearby include the walled graveyard Cill Mhairi with its old carved tombstones. There is also a Bronze Age standing stone at Branault, one of a pair, although only the base of the stone on the north side survives. 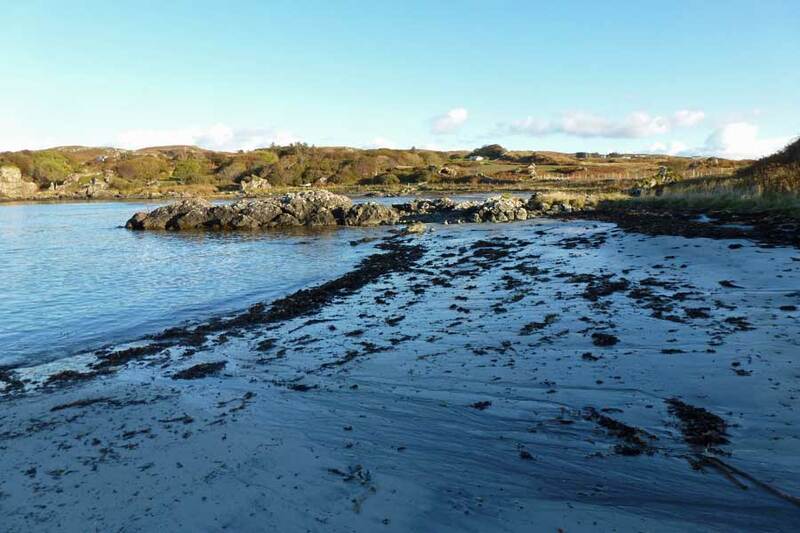 The beach can be accessed via a short walk along a footpath from the village of Kilmory by the Old Post Office.